Does being attractive give you a leg up when trying to land a job? 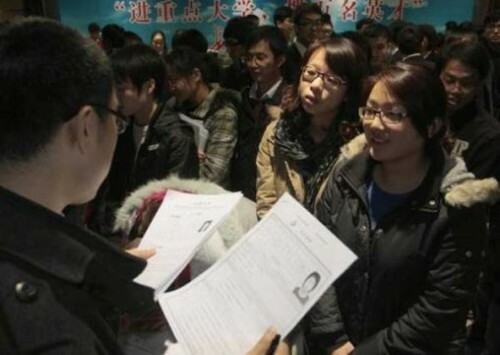 That trick did not work for one job seeker in China, who was turned down after she altered her resume photograph in the hopes of giving herself a better chance. Chinese news agency Sina News reported that the woman, a final year university student surnamed Liu, had submitted a resume for a position she was interested in, and was subsequently called in for an interview. To stand out from the hundreds of applicants, Ms Liu embellished the photograph on her resume, making herself look like a model. "I only slightly altered my eyelids and my body shape. People who know me will still be able to recognise me," she reportedly said. She recalled that the company's human resource (HR) manager had repeatedly asked whether she was the same person as in the photograph during the interview. She was then informed that she would not be hired, reported Apple Daily. Ms Liu claimed that the employer had only looked at her appearance and did not take her abilities or qualifications into consideration. An HR professional who spoke to Sina News explained that most employers usually do not mind applicants who submit photos with minor touch-ups. The HR professional said: "But if the photos are excessively modified, then employers may feel the person is dishonest and not trustworthy, and will probably select a better candidate." It remains unclear if attractiveness helps or hinders job seekers and people at work. The Straits Times reported last year that handsome men may be rejected for competitive jobs because their good looks make them appear more threatening to colleagues. But at the same time, good-looking men are preferred for roles that require co-operation and teamwork. However, there is common consensus that lying on resumes should always be avoided. In fact, Tim Klimcke of Robert Walters Singapore suggests not attaching a photo at all as it may work against employees by giving employers the avenue to make decisions based on appearance rather than experience and qualifications.